Wow, I’m impressed! WordPress has been needing something like this for quite some time. I just wish I would have thought of it first. If you’re not sure what I’m talking about, it’s a new plugin called WPCore Plugin Manager. 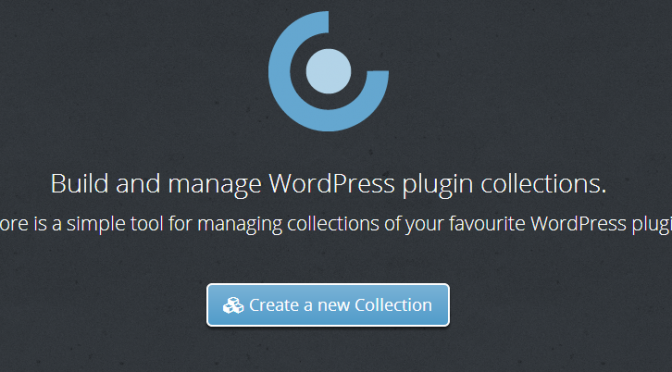 This plugin allows anyone and everyone to create a custom collection of plugins for WordPress and install them all at the same time on a WordPress website. You can have private or public collections. It even allows you to add custom plugins that aren’t on the wordpress.org plugin repository! This is a serious game changer! How much does WPCore cost? Nothing, it’s free…seriously, why are still reading and not installing this plugin? I typed in a plugin name and it doesn’t show up. What do I do? I’ve noticed while searching it doesn’t always list your plugin. All you have to do is find the plugin on wordpress.org and grab the slug from the url for that plugin. Check out WPCore’s FAQ or ask em in the comments below!